The Lake Almanor Basin and surrounding area offer world class fishing in lakes and streams, family fun on skis, wake-boards, tubes and jet skis, quiet mountain adventures in camping, hiking, biking, kayaking, horseback riding, bird-watching and championship golf. As a Gateway Community to Lassen Volcanic National Park, Chester and the Lake Almanor Basin host the largest and closest selection of lodging and dining available for visitors to the Park. And with 52 miles of shoreline, marinas, lodging, restaurants, and recreational opportunities on the lake abound. The 106,372 acres of Lassen Volcanic National Park provide a wealth of activities that are as varied as the seasons of the park.There are over 150 miles of hiking trails which range in difficulty from a strenuous 5 mile round-trip hike up Lassen Peak to a gentle 1.85 mile stroll around Manzanita Lake. There are 8 campgrounds within the park with a large part of the wilderness area available for wilderness camping permit. The new Kohm Ya-mah-nee Visitor Center, the Mountain Maidu word for "Snow Mountain", is open year round and features an exhibit hall, indoor theater and outdoor amphitheater, bookstore, gift shop and café. The Lassen Forest lies at the heart of one of the most fascinating areas of California, called the Crossroads where the granite of the Sierra Nevada, the lava of the Cascades and the Modoc Plateau, and the sagebrush of the Great Basin meet and blend. Lassen Forest covers 1.2 million acres or 1,875 square miles, and lies within 7 counties. 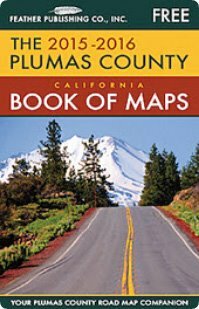 Within Plumas County lies the Caribou Wilderness area with over 300 campsites and a wide array of recreational opportunities, fishing, hunting, camping, hiking, bicycling, boating, snowmobiling,cross-country skiing, and just plain exploring. ChamberClasses is a learning portal containing the best courses for Business owners and their employees. The portal provides targeted training and certifications which are designed to be inexpensive but highly beneficial in improving employee productivity. ​Request a formal Business Proposal Now!